It was a pleasure to support our client Kicki Carlsson-Boyd and the Dröm UK team at their Invitation to Inspiration showroom launch. Surrey based Dröm UK are industry leading creators of truly unique and bespoke spas, saunas and steam rooms. They work closely with architects, interior designers and developers to create stunning spaces in private residences, hotels and health clubs. A selection of inspirational ‘dream’ co ncepts were showcased at their Addlestone-based showroom launch which, as you would expect, included some refined hospitality and live musical entertainment. 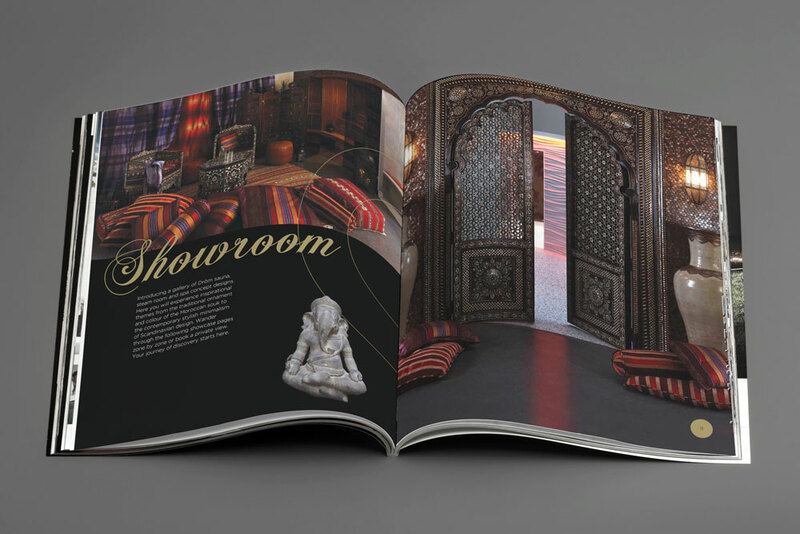 To complement the showroom launch, Design Inc were contracted to create an equally inspirational corporate brochure which was also to be launched at the event. This was a two month project and one on which all our creative team were delighted to work. From an early stage we recognised the need for superior creativity and moreover, that we wanted this to bring out the creativity behind the Dröm UK team’s own thought processes. The solution was inspirational! Simply entitled ‘Inspiration‘, this new 40 page lifestyle brochure creatively demonstrates the sights, sounds, textures, shapes that have inspired the Dröm UK team in the creation of their unique spaces. We found that their inspirations came from all around them. The shape of a shell on a beach, the colour of precious stones from a favourite piece of jewellery, a glazed pottery tile from an Arabian mosque or even the shimmering colours of the Northern Lights. All these and more featured within the brochure. The showroom launch was a big success. And so was the brochure, with Dröm UK claiming that it fulfilled all their aspirations for the next generation of Dröm marketing. We would like to extend our thanks for the invitation and we look forward to working with Dröm UK for future marketing campaigns. 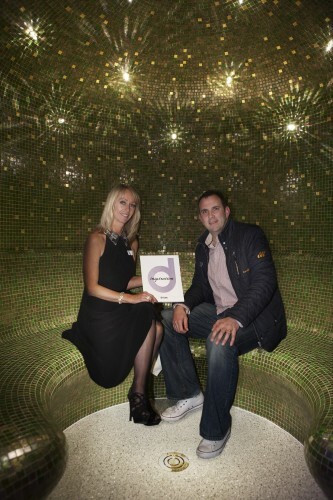 Pictured celebrating the new flagship brochure inside the signature Globen Steam room are Dröm MD Kicki Carlsson-Boyd and Design Inc Creative Director Paul Munday.